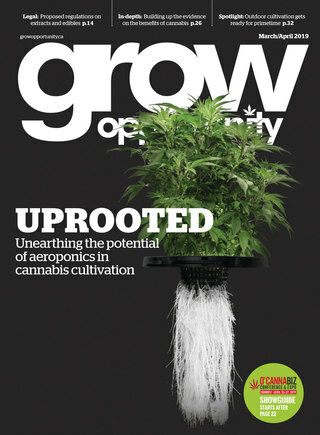 Grow Opportunity is a digital portal and magazine dedicated to the production of cannabis in Canada. Grow Opportunity will be delivered to industry investors, C-suite executives, managers and staff at Licensed Producers (LPs) from coast to coast, as well as to those decision makers involved in the actual growing, harvesting and curing of cannabis. Published quarterly, each issue will cover the news, products, trends and issues that impact cannabis producers, and their partners.